H is a bit of a bookworm, so I’m always looking at a few new books for Christmas. Books are much easier to find room for than toys. We’ve been trying out a selection of books over the last few weeks and all of these are suitable for children of about 7 or 8, but in many cases the age range is much wider than that. I think too that most of the books we have looked at would be suitable for both boys and girls, but we have only road-tested them for a 7-year-old boy. 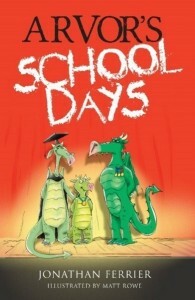 Arvor’s Schooldays tells the story of a dyslexic, dyspraxic dragon called Arvor as he struggles through school and how he overcomes his difficulties. Dr Ferrier has written Arvor’s Schooldays primarily to entertain children but also to give encouragement to those with learning difficulties and for whom school is a more challenging environment. The book has been cleverly designed to make each chapter (except the last) a complete short story in itself. This makes it suitable for a reluctant reader and I think the lovely illustrations would help encourage children to read too. H has been reading this book with his Dad at bedtime. As the dragon school is situated on Cadair Idris, the largest mountain in Southern Snowdonia, Daddy has had plenty of opportunity to practise Welsh accents. The only thing that I can think might put off readers is that the book is quite thick, so this might be slightly off-putting to some readers, but you could always read the first chapter together or alternate between reading together and reading alone. I’m hoping that through reading this book that H will be inspired to climb Cadair next time we are in that part of the world. This is a series of books designed to educate children about the world of work. 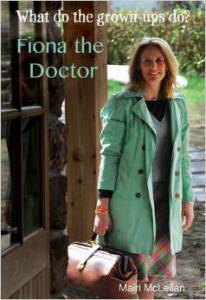 We tried out Richard the Vet and Fiona the Doctor. Based in the Northwest Highlands of Scotland, the series aims to teach children aged 5-10 years about different jobs. The books are written in a chatty, easy to read and understand style and follow three local children who meet real workers who explain their jobs. They are really informative and I’ve certainly learnt a thing or two as well, plus they are very well illustrated with photographs. In fact, I am planning to get hold of the rest of the series because I’ve been so impressed with them. H has really enjoyed them too and has said that they are ‘really interesting’. 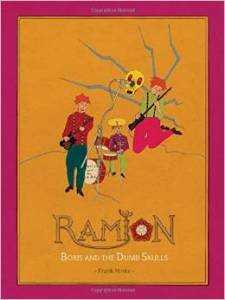 Boris and the Dumb Skulls is a Frank Hinks 16th children’s book in the Ramion Collection. It’s about Boris, who is the pet skull of Griselda the witch. Griselda has been drinking too much evil spirit and Boris and the dwarves are fed up with her bullying ways. They form a punk rock band and plan to seek their fame and fortune, but just before their first gig two of Griselda’s dead ancestors break out of their glass tanks and decide to come along too. It’s full of dramatic illustrations and it has a really different feel to the book. H needed some explanation about gigs, bands and bouncers as he hasn’t really had much experience of that sort of thing. It’s probably slightly too old for him, but I think it’s one he’ll be going back to. 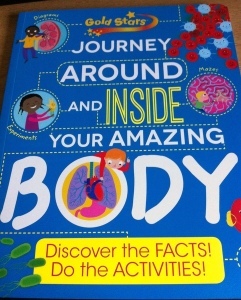 This book has loads of information about the human body presented in a child friendly way with lots of activities along the way to help make learning fun. This would be a good book to take with you on a long journey or similar. I imagine it would be good for home schoolers too or simply backing up school learning with some fun activities. It’s the sort of book a child could work through on their own, but there are certainly somethings an adult could learn too. This is the third book in the series and H enjoyed this as much as he did the other two. In this installment you can join Satniks: Fizz, Toppo, Zingle and Gronk, as they go on a crazy supermarket shopping trip and a walk on the wild side at Monkey Magic Adventure Park. 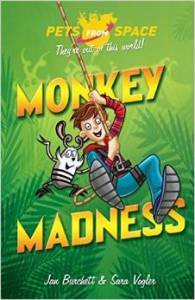 Pets from Space: Monkey Madness is a fun book and H read it in one sitting. 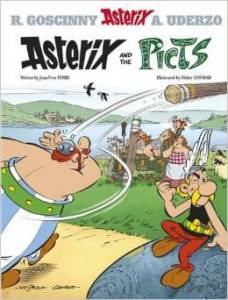 Asterix fans, like H, will have been waiting for Asterix and the Picts for some time. This book is written with a new creative team, but is faithful to the original characters and series. This one seems Asterix and the gang in Scotland with the Picts. There is plenty of fun to be had with caber tossing and Nessie. H loved it. I think this would be a good one to get an adult too if they were a fan of Asterix as a child. books are on L’s xmas list and his auntie is going to get him a few.